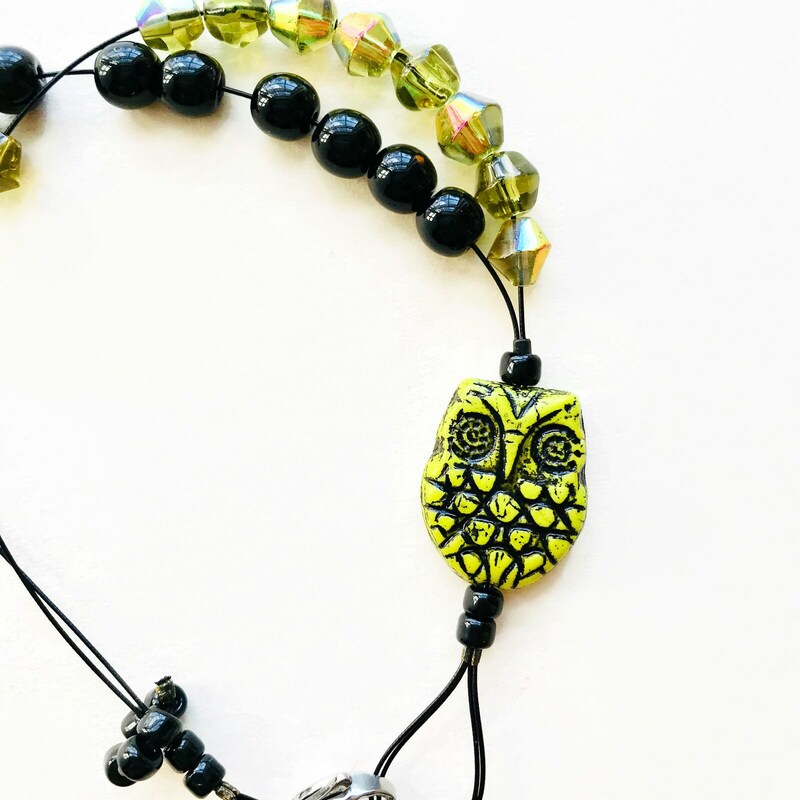 YELLOW OWL stitch markers and row counter abacus bracelet. 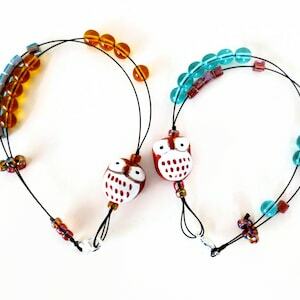 Choose the set of markers, the abacus bracelet or get both as a matching set (with a discount). 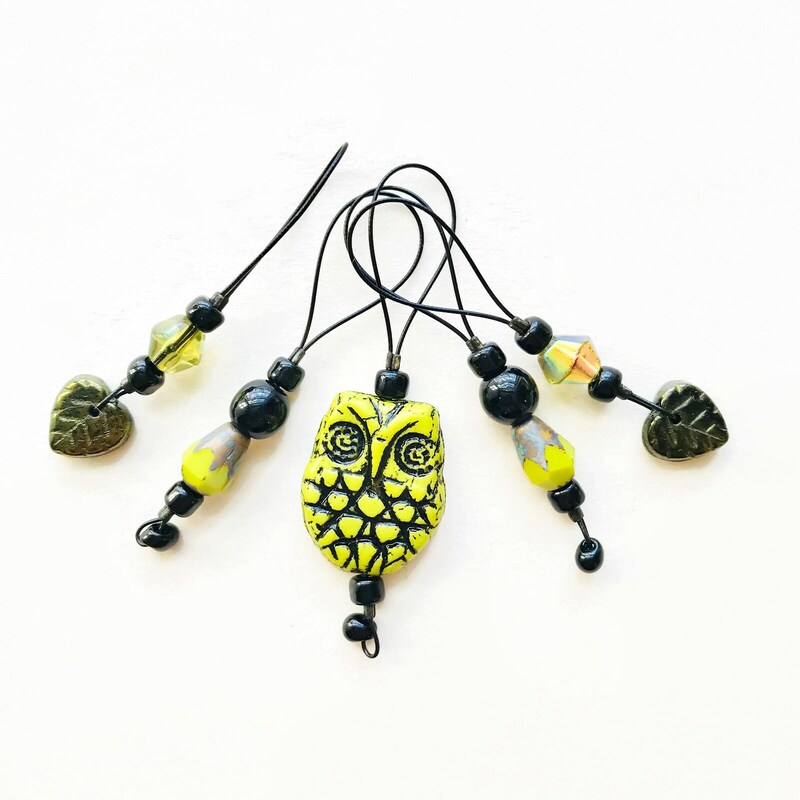 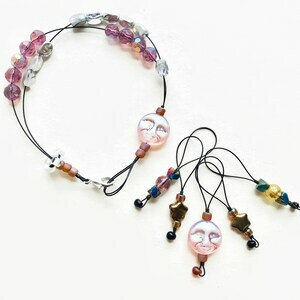 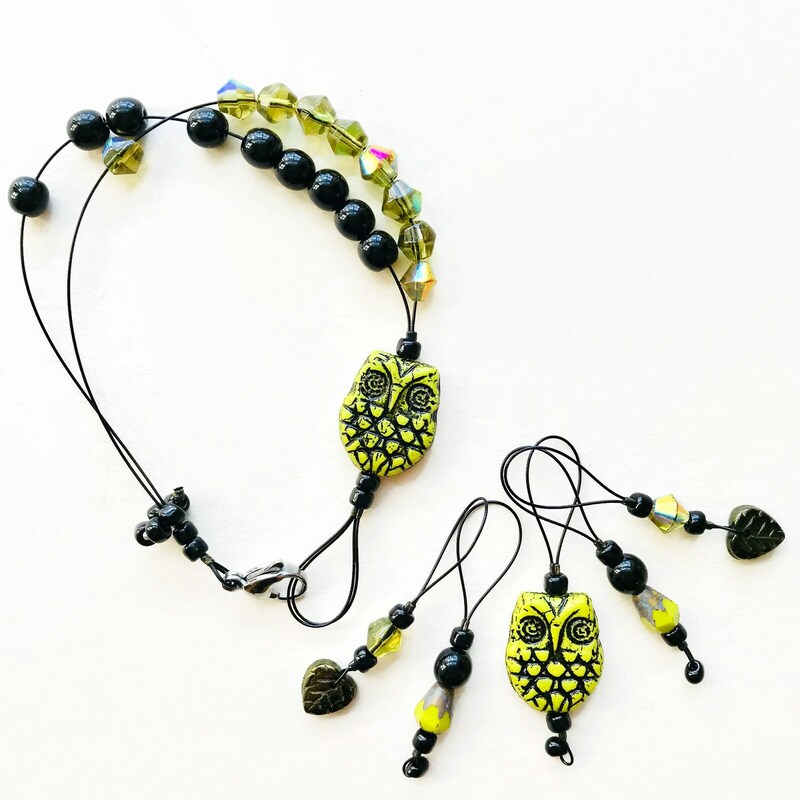 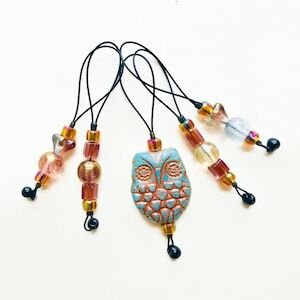 Made with beautiful quality glass beads with double sided owl. 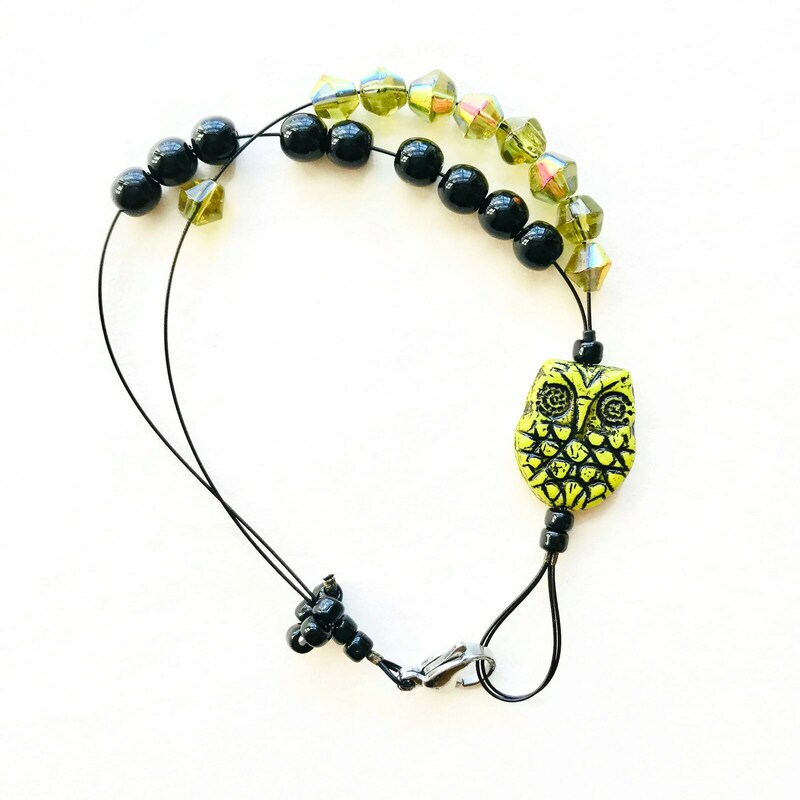 Bracelet is made to fit an average wrist and measures 7.75 inches from end to end. 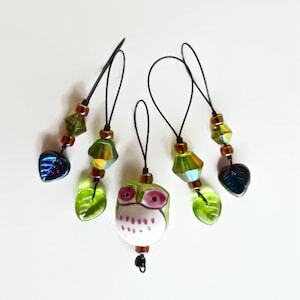 Just let me know if you need a different size.